A new era in medical marijuana production dawned in April of this year, and it hasn’t taken long for the horticulture industry to take note. The new Marijuana for Medical Purposes Regulations (MMPR) that came into effect in April only allows producers licensed by Health Canada to grow and sell the product. It replaces the Marijuana Medical Access Regulations (MMAR) that had been established in 2001, and which allowed patients, with their doctors’ support, to apply directly to Health Canada to grow their own plants. This is a positive development. Tightly controlled and regulated commercial growing operations will produce a more standardized drug with greater efficiency (and presumably at a lower cost). Quality control efforts will be better monitored. As of May of this year, some 850 licensing applications had been submitted to Health Canada. It’s expected between 25 and 30 will be approved by 2015. A dozen are already licensed. While it is indeed good news, particularly for companies already with licences or which are soon to be licensed, there is a fly in the ointment, so to speak. Whereas with the previous legislation physicians were simply signing a form saying they were aware their patient was using marijuana for medicinal purposes, the new rules require doctors to, in effect, provide a medical document much the same as a prescription. The CMA has begun work to improve the amount of information available to doctors. In March of this year, it began posting the latest information and resources about the medical use of the drug on its website. It’s clear Ottawa didn’t adequately consult with all stakeholders before drafting its new regulations. Doctors should have been on board much earlier in the process. Hopefully, the necessary studies are being prepared to assist physicians in making decisions they’re now being asked to weigh in on. Medical marijuana is said to be a life-changer. It offers pain and nausea relief in many cases where chemical treatments fall short. In November 2013, some 38,507 people were registered with Health Canada to use it. One estimate suggests this will soon become a billion-dollar industry in Canada, perhaps over 10 years or so. 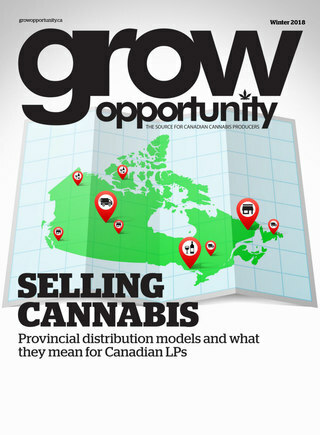 The Canadian greenhouse sector has the growing expertise to vastly improve the previous medical marijuana system. And this success will hopefully spur more interest in other medicinals that can be grown much more efficiently and cost effectively indoors.